Welcome to my weekly fashion blog post. Each week I will discuss a female garment, fashion trend or influencer from the age of photography (1840s through the 20th century). 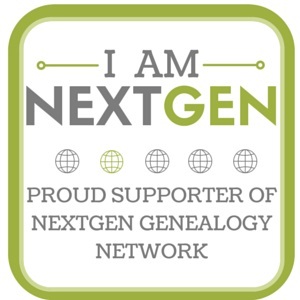 My goal is to educate family researchers and genealogists about the clothing worn by our ancestors. Dating photographs is an issue we all struggle with as family archivists. Additionally, anyone who writes about their family’s history should be aware of the environment in which their ancestors lived. Period clothing is an important part of that environment from how it affects a person’s movement to their overall lifestyle. This week I introduce you to the bifurcated skirt, a cousin to the bloomer. Bifurcated skirts were different from bloomers although they served the same purpose, allowing women more freedom of movement during athletic endeavors such as bicycling or horseback riding. While bloomers looked like baggy pants which ended typically below the knee, bifurcated skirts were pants constructed to maintain the illusion that they were still a skirt. The terms bifurcated skirt and bloomer were often used interchangeably, especially during the 1890s, when both became popular. A rare cycling suit owned by the Metropolitan Museum of Art. The front panel can be buttoned across the front to cover the leg split so the garment looks like a skirt, or it can be folded over and buttoned to allow the legs to be separated during cycling. The fullness in the back obscures the split between the legs. Various patents were filed in the 1890s for bifurcated skirts. The illustrations below are a few among dozens. The patent holders were all women. 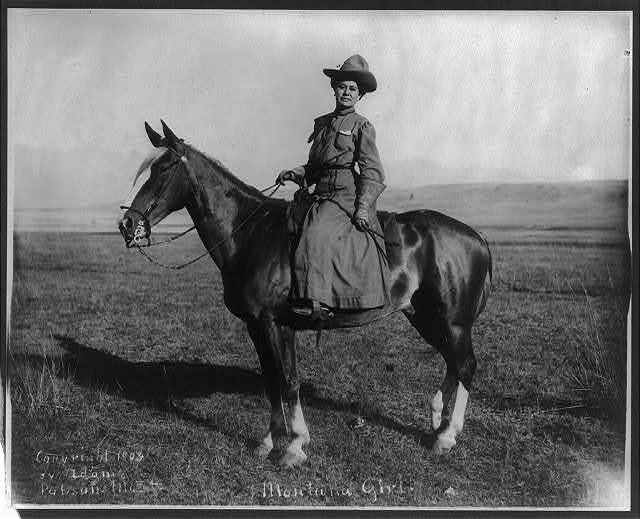 A cowgirl in Montana wears a bifurcated skirt while riding her horse. In an April 1892 article from the Journal of the American Medical Association, Dr. H. Augustus Wilson recommended for his patients with lateral curvature of the spine to continue horseback riding as a form of exercise. Because his female patients were no longer able to ride side saddle, he instructed them to continue riding astride while wearing bifurcated skirts. The article can be found in volume 18, no. 14, p. 409-412. In the article “She Rides Like A Man” from the Indianapolis News, dated 29 March 1890, Mabel Jenness fought for the abolishment of the side saddle. She proposed that women should ride astride while wearing bifurcated skirts. If you have access to Pinterest and Newspaper.com, I have clipped the article. A women’s tailoring book from 1897, Superlative Systems of Cutting Ladies’ Garments by Charles J. Stone, included several patterns for riding and cycling skirts. The book can be found at Internet Archive and is available for download. Various bifurcated skirt patent illustrations from the 1890s. These images came specifically from Ancestry.com’s database “U.S. Patent and Trademark Office Patents, 1790-1909. 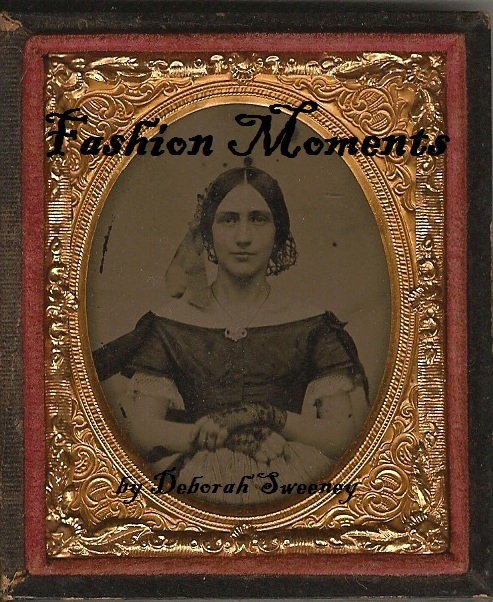 This entry was posted in Fashion Moments, Genealogy, Photography and tagged 1890s, bifurcated skirt, dating photographs, fashion, fashion moments, Photography, Victorian clothing, victorian fashion on October 18, 2015 by Deborah Sweeney. “The front panel can be buttoned across the front to cover the leg split so the garment looks like a skirt…” Very clever. This is wonderful! I found an article from the Weekly Pioneer Times from Deadwood, SD from the summer of 1894 that my great grandparents took a 120 mile riding trip through the Black Hills, when she was 14. My great grandmother rode astride (or “man-style”) and wore riding bloomers. I wish there were pictures because I’d love to see what she wore! Your post is the best description I’ve found. I’m working on a blog post about it, and you’re right– it’s FUN looking for things. You did a fantastic job! I love it! I hope you’ll give an update when your book comes out! That’s my goal– a BOOK! Best of luck to you. Thank you! There will be lots of updates as I get closer. I’m still in the first phase. 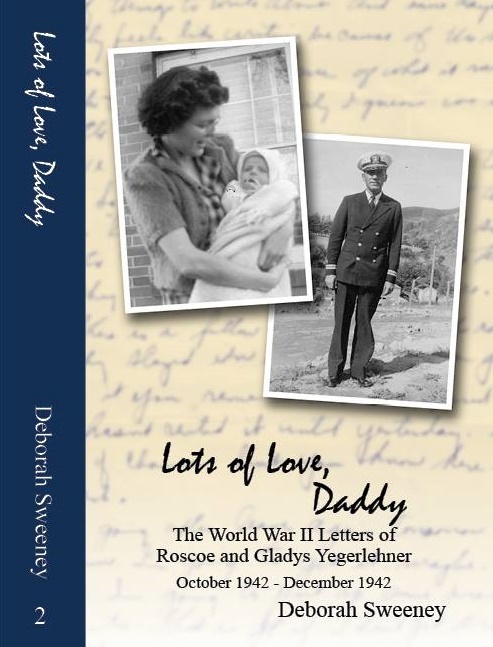 Reformatting all the WWII letters to book form. I just learned that a distant cousin of mine was a dressmaker and also secured several patents on designs for “slenderizing” clothing in the 1920s and afterwards. I wonder how many women were patent holders back in those days and how many were clothing related! Very cool! And an interesting question. I am curious myself to know how many patents were held by women, and what fields the patents tended to be in. I bet someone has researched that. I will see if I can find anything. Please let me know if you find anything! On page 13 there is a table compiling statistics of patents issued to women by category. You will see that between 1790 and 1984 only 1.5 percent of patents were issued to women. And most of those were for either household goods or personal wear or use. Fortunately, things have improved somewhat since 1984! …and next came the skort? 🙂 Interesting – and fun that the patent-holders were all women! It was fun to see the fashion move forward into the 1920s and 1930s while I was doing research for this article. And yes, I agree, the skort is definitely the modern descendant of the bifurcated skirt. I loved seeing all the women’s names on the patents. Since they wore the clothes and were the dressmakers, too, it completely makes sense. I’m glad that they didn’t let the men steal their ideas.